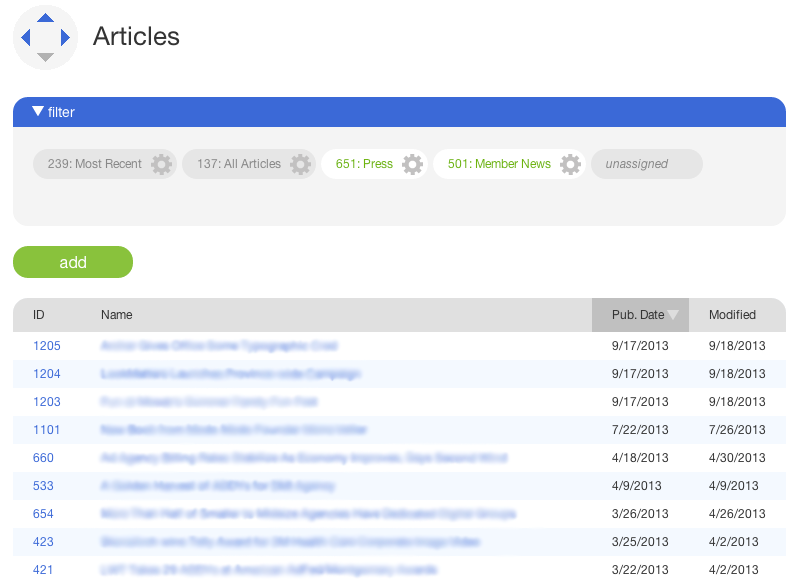 The articles page with the filter panel open and the articles table populated. Give your article a start date. This is the date of publication, and the article will not appear on your site without one. An end date is not required. Assign your article to one or more journals by clicking those journals on the card where it says "journal." 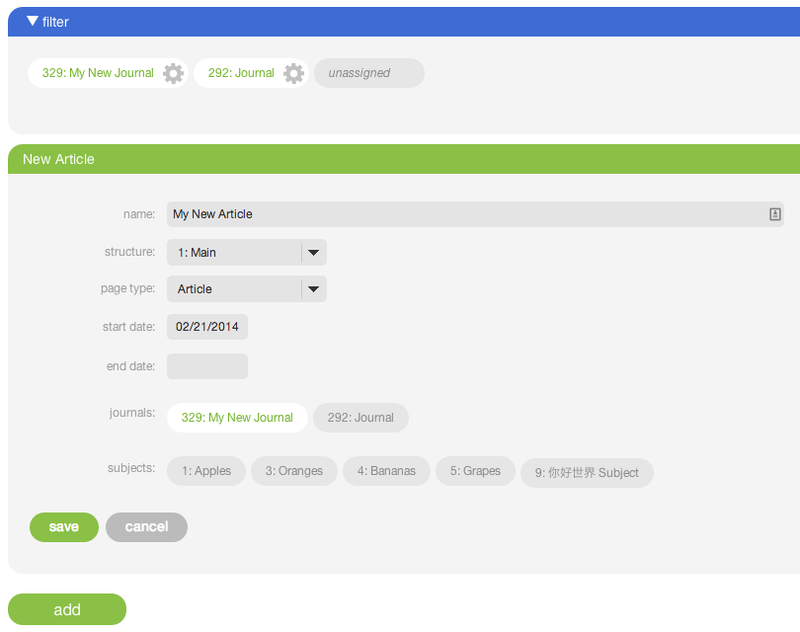 Selected journals will appear highlighted. If you accidentally create an article without assigning it, you can find it by selecting "unassigned" in the filter panel, and then you can assign it by clicking on its name and editing the "page" card under its info tab. After saving your new article, you'll see it in the articles table below (provided the corresponding filters are applied). Clicking on its name will take you to its details page, where you can add sections and other modules to it just as you would to any other page. When you're finished adding content and you're ready to make it live on your website, click "publish" in the upper-right corner of its details page. That's it! See the screenshot below for an example of a card with all the necessary fields filled out.